Have fun! Your child has worked hard this year. Learning new concepts, building their background knowledge, strengthening social skills, honing their fine and gross motor skills, and managing their emotions. Take some time to be silly, do something just because, and spend time together. Be bored. It is okay not to plan the whole summer. Children need to feel boredom from time to time. When your child complains that they are bored, offer a few suggestions and then let them be. They will find something to do. They will learn how to entertain themselves. Often times boredom leads to increased creativity, a new game is invited, an old toy is found, or a new friendship is formed. Resist the urge to fill the gap for your child or worse still allow them to turn to an electronic device. Do chores. The summer is a great time to teach your child a new skill and have them take on some responsibility. Young children can learn to make their bed or clear the table. Older children can learn to empty the dishwasher, walk the dog or fold laundry. The summer days are longer and less rushed and allow us to be a bit more patient as we take the time to teach our children to take on some household responsibilities. Read.I love to catch up on my reading list in the summer. Long car rides, days on the beach, and warm summer evenings all beckon for a good book. Join the summer reading program at the WV Memorial Library and read a good book. No matter the age of your children, have them read aloud to you. There are so many benefits to children reading aloud to an adult so make some time to listen to your child read. Additionally, continue to read to your child. When a child hears an adult read they model fluency and can help children access books that may be beyond their reading level but not their comprehension level. Explore outside. Whether you are close to home or far afield, take the time to explore outdoors. Noticing the world around us and enjoying the beauty our surroundings offer is an amazing gift. As you wonder about talk about what you are seeing, hearing, smelling, and feeling. Ask your child questions and be an inquirer! Write. Send us a postcard! Pick up a postcard from your travels near or far and send it to the school. We will display all the post cards we receive and choose a few lucky ones as winners of our summer post card contest! In addition to post cards pick up a beautiful journal and teach your child to keep a summer scrapbook or diary. Draw pictures, glue in ticket stubs, and write about what they are busy doing (or not doing). The local bookshops also have fantastic travel journals that kids can use to record all the details of their adventures. Cook. There are so many benefits to cooking together as a family. Children are more likely to eat healthier when they participate in cooking. Spending time eating as a family decreases a number of risk factors for children. Learning how to plan and follow a recipe teaches a number of math, literacy, and executive functioning skills and it allows you to check off the first item on the list, because it is fun! Spend money. 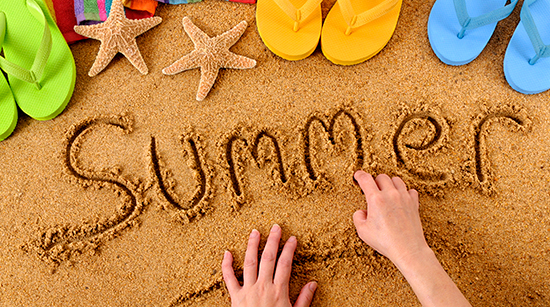 The summer is a great time to teach your children some financial literacy skills. While they are doing all those chores pay them some allowance, but make them spend it. A good benchmark is one dollar for each year old your child is. If they are eight years old they earn eight dollars each week. However, make sure that your child spends this money. So if you are going to the movies, your child must pay for their own snack or any trip when souvenirs might be purchased need to be paid for by your child. Children start to understand the value of money when they earn it, but also when they must spend it. Do some mathematics. Over the summer your child will continue to have access to Math IXL, which is a great way to review concepts and practice new ones. There are hundreds of fantastic apps and online games that allow children to practice their basic math skills over the summer. Spending 10-15 minutes most days playing with numbers is a great way to prevent any lose and help to improve fact fluency. Talk and ask questions. Our children grow up in the blink of an eye. Spend these long summer days listening to your child spin tales, share jokes, discuss the latest gossip, and talk your ear off. Show interest in what they have to say and ask them lots of questions. Take the time to chat while running errands, tucking them in at night, or waiting in a line up. The bonds we form now with our children will see us through the difficult and challenging times that may lay ahead. 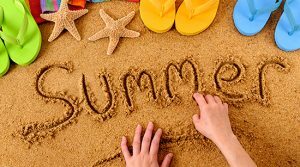 I hope all of our West Bay families have a fun, relaxing summer. Stay safe, and I look forward to seeing everyone in September.